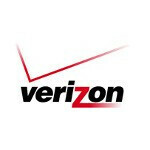 It seems that Verizon may not have an exclusive on the Samsung Galaxy Nexus. The landing page that Big Red created had listed the device as an exclusive, but now that distinction has disappeared from the page. It may be that Verizon put the tag on there mistakenly, or it may be that having it up for a short time before removing the "exclusive" tag could point towards a limited exclusive for Verizon (how's that for reading deep into this?). Of course, all of this is all idle speculation because Google apparently wants to torture users and keep the release date a secret until someone accidentally sees the Nexus on a store shelf. While it's still unclear if AT&T and T-Mobile customers will get the option to buy the Galaxy Nexus on contract, it is still guaranteed that those users will be able to get an unlocked Nexus if they really want to because in order to release the phone around the world as Google has planned, those radios will be available. Sprint is more of a question mark, but really, it's probably best to just assume that there will be a way to get the phone on all major US carriers eventually, then we'll all riot together if that turns out to not be true. How does that sound? I briefly glanced at your name and the comment looked like "Start the Zombie picket lines!" I'm so there. Well, it's already announced for Europe so maybe Verizon's just going to have a period of US exclusivity. Maybe Google or Samsung said to screw off with the exclusive stuff and want their phone out there moving from shelves to hands. Correct. While it will be a US Verizon exclusive device for now, it is not the case for the rest of the world. Since the name "Galaxy Nexus" is universal they cannot display the previous banner with that tag written the way it was. If they want to compete with iOS, they really should release their new 'flagship' OS device on all carriers right off the bat .... makes the most sense to me, but meh, I'm not a CEO. yeeeesssss we need this phone on sprint!!!!!! NO!!! I don't want another phone on Sprint thats better than Evo 3D! cant tell if your being sarcastic but the evo 3d is really a good phone. The other carriers all opted for the Galaxy S II while Verizon held out for the Nexus. Verizon isn't exclusive for ICS, only the Nexus. While you may see the Nexus on other carriers in the future for now plan on seeing current phones upgraded to ICS instead. As per the Bionic, that was Motorola's fault 100%. They completely failed on the original, attempted a redesign, but it all took them so long to finally bring to market they were only months away from the Razr. Rather than lose all the money in R&D and marketing thus far they released the Bionic to recoup some of the cost. Oh yes, because the signup page on Google didn't already confirm this. If people would check first instead of whining this wouldn't be a problem. Enough with the thumbs down. I'm just kinda happy his post didn't contain any elicit android bashing. miz, the sign up page contained every US carrier. While i sincerely wish it was on every carrier, i highly doubt its going to make its way to Metro, cricket, and virgin.. lol it was more to gauge interests and get people's emails than anything else. I believe Miz was referring to the leaked product page that originally did only say Verizon Wireless. That was changed later after being reported much like the facebook communication from Samsung. no, he is referring to the google sign up page.. he said that in his comment.. lol. the google sign up page had every carrier in the drop down to sign up for "updates" on. that doesnt mean that its going to every carrier. There is hope for sprint! I can def see this laggy ICS device on the crapy T-Mo lineup.. I like how you've already deemed it laggy when nobody's mentioned anything about lag in previews and nobody's bought the phone yet.